For Amale Andraos and Dan Wood, architecture is not about making pretty facades. With their New York firm WORKac, they seek to create spaces for urban experiments without losing their footing in the process. They design floating vegetable patches, edible schoolyards and sustainable platforms for political contests. Their strength lies in developing precisely fitting conceptual solutions that significantly always contain a decisive spark of utopia. 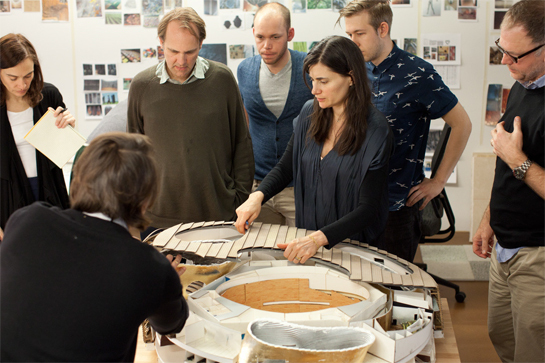 With their open and interdisciplinary attitude, Amale Andraos and Dan Wood symbolize the self-image of a new generation of architects in the USA. Inge Moore has declared war on giant, anonymous hotels. For the native-born South African, a hotel is not a humble box where you stop for the night while traveling, but a temporary home. As principal and chief designer in the London office of Hirsch Bedner Associates (HBA), she creates the interiors of hotels, spas and restaurants that create lasting memories for their guests. Her recipe for success: she creates custom-tailored spaces that combine local influences into an atmospheric mixture of styles. 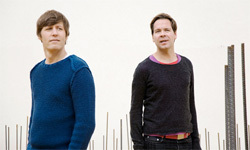 FAR is the name of Mario Toledo Rojas and Marc Frohn’s studio, which they run from Santiago de Chile, Berlin, and Los Angeles. They shot to international fame six years ago with their Wall House and recently designed rooms for the Goethe Institute in Santiago. 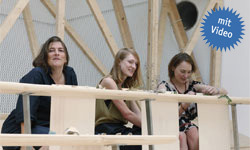 For them, however, building is only one reason to address architecture. A basketball court on the roof of a café, climbing walls on the façade or a vase with three openings that can also stand upside down – NL Architects see their work as a remix of reality, which they infuse with plenty of imagination. 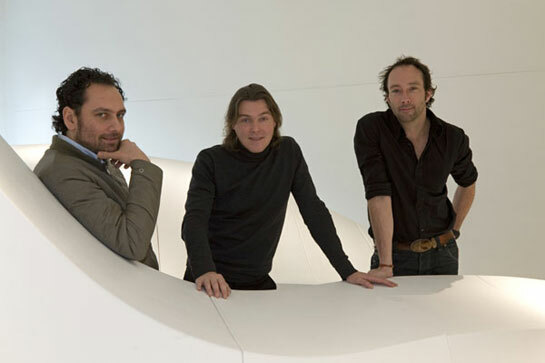 Pieter Bannenberg, Walter van Dijk and Kamiel Klaasse have already been awarded numerous accolades for their extraordinary buildings, including the Emerging Architect Special Mention of the coveted Mies van der Rohe Award for their BasketBar in Utrecht. 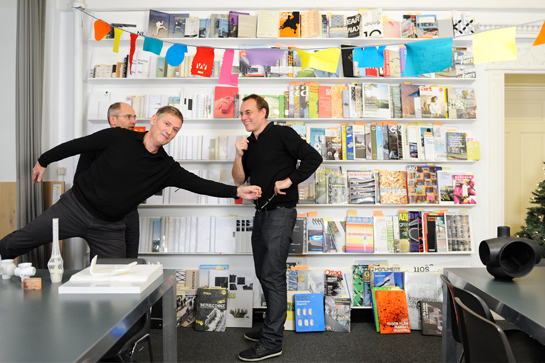 We caught up with the architects in their office in Amsterdam. She transformed auto showrooms into jewels, wakens an operetta theater from its slumbers and builds impressive towers that have absolutely nothing in common with autistic behavioral patterns. 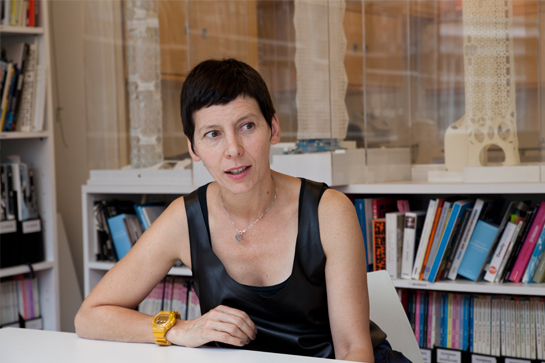 Manuelle Gautrand is not only France’s most exciting architecture export. The Paris-based architect and member of the Legion of Honor brings a sensual, sculptural quality to architecture from which not only her male colleagues could learn a thing or two. 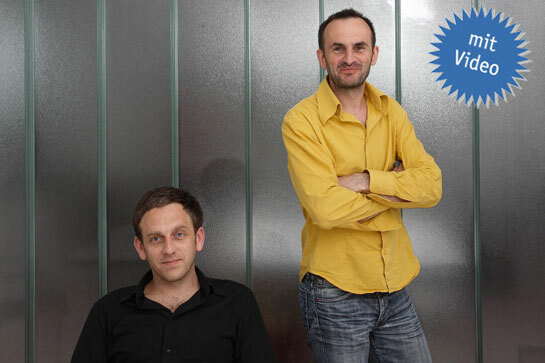 Selva Gürdoğan and Gregers Tang Thomsen founded Superpool five years ago in Istanbul. 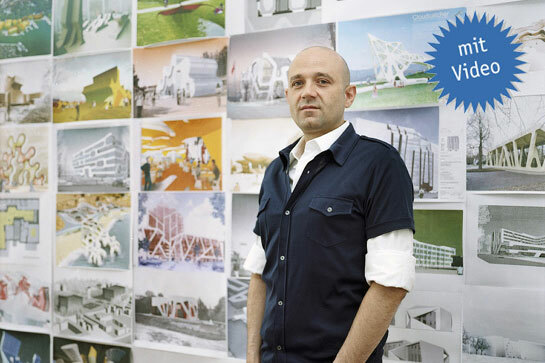 In the meantime, the Turk and the Dane, who met at Rem Koolhaas’ studio, have emerged as one of the great white hopes of the young Turkish architecture scene. Less because of what they build and more because they make the city visible. 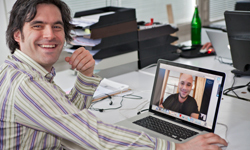 Since 2005 the two Belgians Kersten Geers and David van Severen have been “Office”. 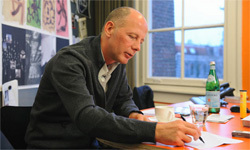 In their fascinating collages, their factual drawings and axonometric projections, not to mention in their architecture, they fascinatingly span an arch from the perspectives of the Italian Renaissance to the Pop Art of a David Hockney and the collages of a Rem Koolhaas – “the early Rem Koolhaas”, as Kersten Geers emphasizes in the interview. Just like with their architecture they are first and foremost one thing with everything they say: extremely precise. 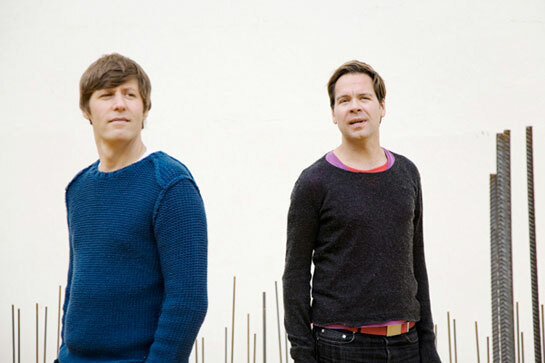 Brothers Martin and Sven Fröhlich collect curious items. 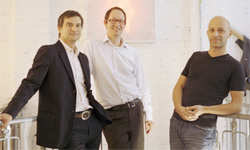 They have been working as AFF since 1999, nowadays in both Berlin and Chemnitz. They also take pictures, producing entire series on out-of-the-ordinary topics: junction boxes, snow- covered car, flower tubs. And you can tell this from their buildings. They are strong in character: for schoolchildren, for stones, for perfectly ordinary occupants. And they have built themselves a holiday home/bunker, a surprisingly reasonable statement regarding the debate “green architecture” and the current obsession with insulation in Germany. 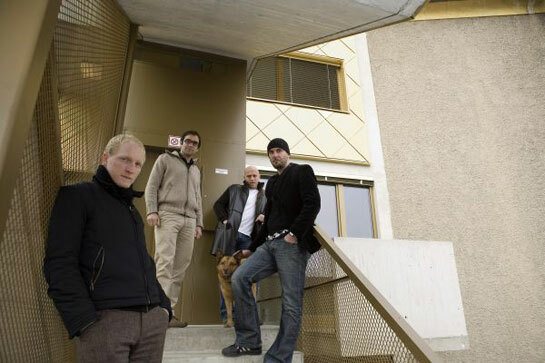 Having chosen to settle in Vienna, the team at Caramel Architekten began drawing attention to itself almost ten years ago with design studies and intelligent low-budget projects. Today they can look back on a whole host of successfully completed assignments. Bit by bit the Science Park in Linz, which is being built according to their master plan, is emerging as a pioneering university project. For the “muf” studio, exploring a location is always the starting point for all contemplations and it is at the heart of all its projects. This is the case to such an extent that they might even recommend a client not to build anything or that, after the completion of a project, we find sheep grazing in the middle of a residential area – we might almost say that for muf anything goes! We met muf at the Architectural Biennial in Venice, where they curated the British Pavilion, and talked to them about their projects and their remarkable methods. The buildings designed by R&Sie(n) have many facets – but not always facades. At times they are as light as textile, lend multi-storey car parks sweeping, dynamic lines or assume the strange proportions of a bacterium enlarged millions of times under an electron microscope. Is this all chance? Not exactly. 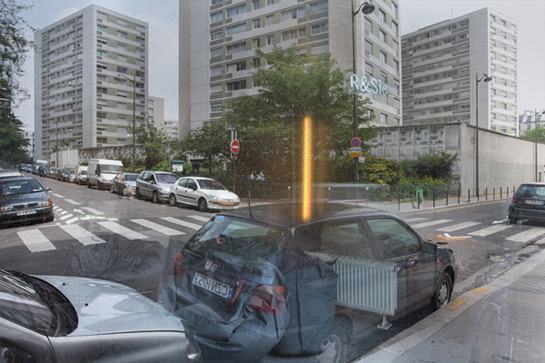 Indeed, the architecture that François Roche and Stéphanie Lavaux have been producing in their Paris studio for more than 20 years now turns out to be an intelligent combination of local resources and highly-developed technology. And it is not only their cryptic name that makes for confusion. 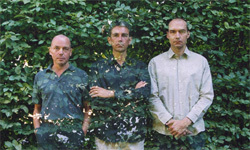 The founders of R&Sie(n) also hide their faces behind a computer-generated fantasy image. 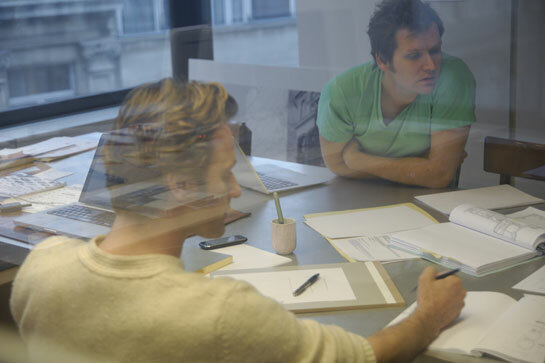 André Kempe and Oliver Thill have been running a studio in Rotterdam for ten years now. The two German architects are just as well known for their inexpensive, clearly structured buildings as they are for their relentlessness in the search for extraordinary detailed solutions and unconventional materials. 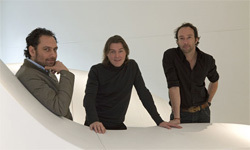 In 2009 they were voted Dutch Architects of the Year. 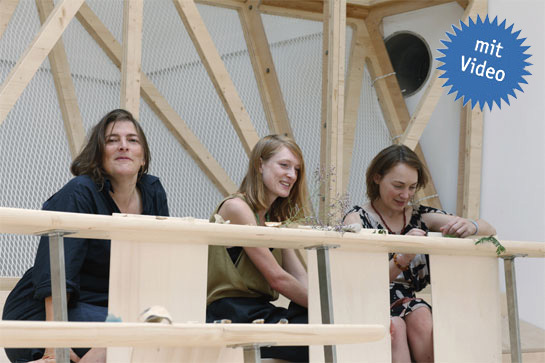 As members of a young generation of architects in Slovenia, dekleva gregorič arhitekti have already attracted considerable attention at an international level, and won various prizes for their work. They have realized projects in Slovenia but also Italy, Portugal and on Hawaii. Tina Gregorič and Aljoša Dekleva have an investigative, analytical approach to their work combined with a love of experimentation, an approach that could be summed up as: Challenging the obvious! 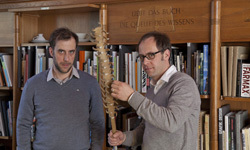 They won the 2009 German Timber Prize, were celebrated in the FAZ newspaper and nominated “Young Architect(s) of the Year” in Great Britain: Tobias Kraus and Timm Schönberg commute between London and Konstanz but are skeptical about the British building culture. With their Wooden Crystal, a residential building in Hamburg, they have catapulted themselves into the upper echelons of the international architecture scene which does not, however, prevent them from setting up office in view of the current building site so as, together with the developers, to achieve the best possible result. Their sense for reshaping the way residents co-habit through spatial experimentation is more strongly developed than their need to design cool outer sheaths. 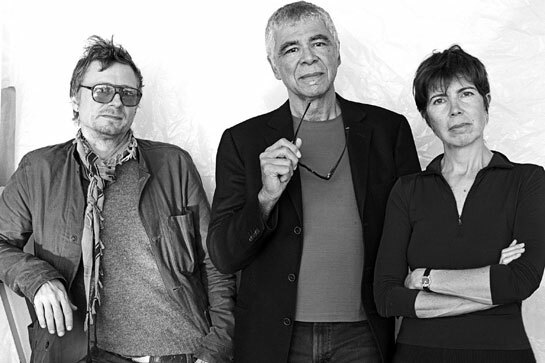 Elizabeth Diller, Ricardo Scofidio and Charles Renfro have no intention of making a decision between art and architecture – they are researchers, their studio is a laboratory for alternative construction concepts and at the same time a field of experimentation for media art. 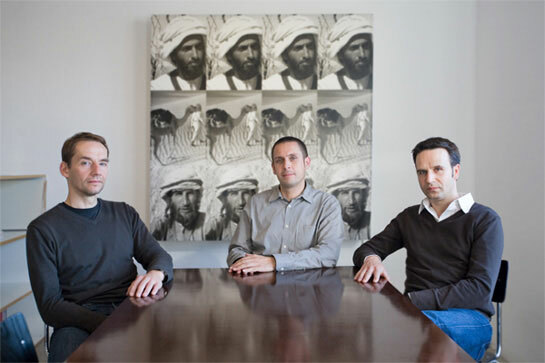 The three architects are currently primarily working on major projects such as the Institute of Contemporary Art (ICA) in Boston, the conversion of the Lincoln Center for the Performing Arts in New York, and the High Line Park in Chelsea. In Abu Dhabi they are planning a museum made of earth, in Bangladesh a school featuring a storey made of bamboo, and in Neuseddin in Brandenburg, Germany, a fire station made of timber. For Ziegert Roswag Seiler Architekten Ingenieure, an architects' studio in Berlin, ecological building means a blend of engineering skills, sensitive craftsmanship and sound communication skills. 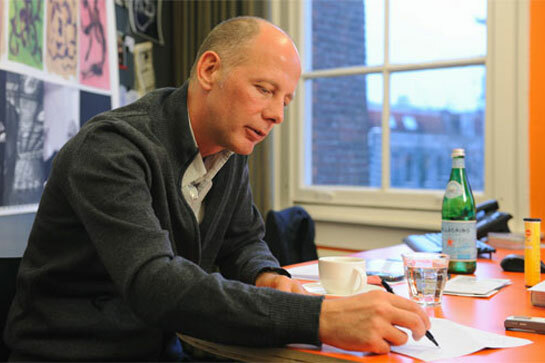 Prizes and contracts from outside Germany are acknowledgement of this approach. Different approaches and questioning assignments - this is how the Viennese architectural group querkraft tackles a design, a work process. The name says it all, whether we are talking about a building assignment on the scale of large corporate headquarters such as the Adidas Brand Center, or the recent museum for the industrialist Herbert W. Liaunig’s considerable contemporary art collection in the southern Austrian town of Neuhaus. 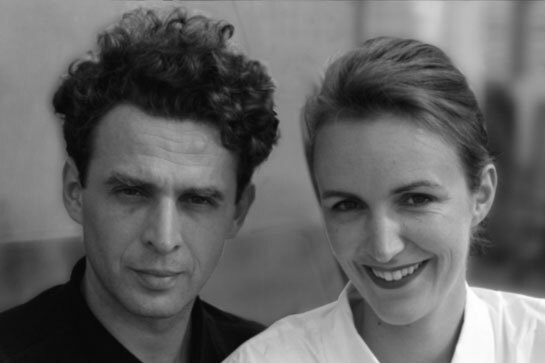 Caroline Bos and Ben van Berkel have been producing astonishing architecture for over 20 years now: For just over ten years they have gone by the name of UNStudio – which can be read as “United Network” just as much as “Un-Studio”. 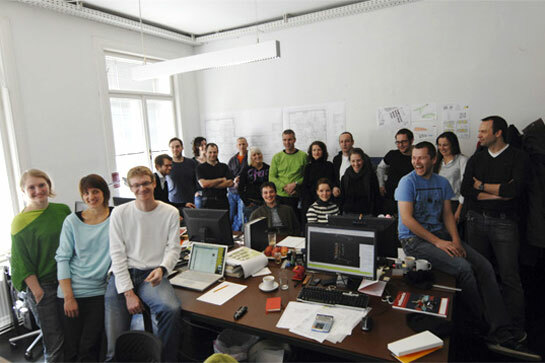 In other words this is a new type of architecture studio, which relies strongly on networking by means of computer. 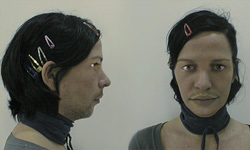 This involves in the design phase using computers to translate the 3D function diagrams into complex spatial contexts as well as to organize the entire internal and external communication. This produces a construction process on and with the 3D model, from which ambiguous buildings such as the Erasmus Bridge and the Möbius House have emerged. The most recent buildings – the Mercedes-Benz Museum, the Agora Theater in Lelystad and the musical theater in Graz – reveal a new level of functionalism, which are indifferent to stylistic features such as “blob” and “box”. At UNStudio the blob is in the box. There are probably not many architecture studios that attracted as much attention with their first projects as Plasma Studio. One could almost say their spectacular designs not only promote a totally new sense of spatial perception, but that their architecture turns all convention upside down - an infinite architectural experiment. Hani Rashid and Lise Anne Couture's projects demonstrated early on that architecture can be far more than just a physical presence. They are couple, both professionally and in private, and in their New York studio Asymptote work on the overlap of real and virtual space. Whereas their designs were initially still far removed from a concrete construction assignment, they are now planning a number of major projects around the globe. And they have no problem whatever switching from the dimensions of a skyscraper to those of a wrist watch. 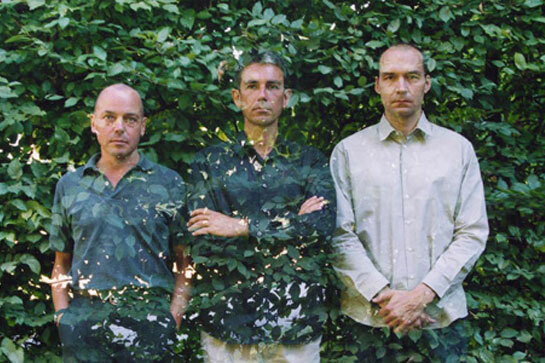 They are better known in the art scene than among architects. 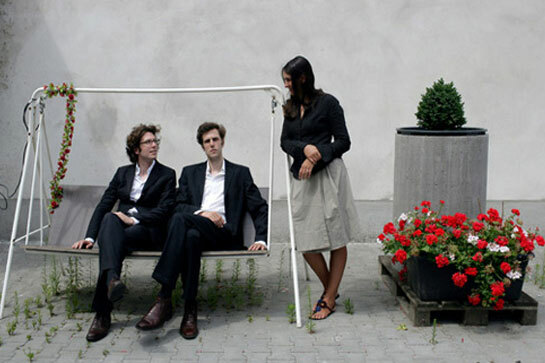 No surprise, they think like artists: Johannes Kuehn, Wilfried Kuehn und Simona Malvezzi. 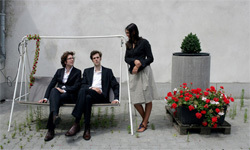 The series of their conversions in art environments includes the foyer of the Schirn in Frankfurt, rooms for the Manifesta in the Italian town of Trento, a viewable storage area in Vienna, galleries, art museums, exhibitions. Wahtall the projects have in common is that they have the magnitude to withdraw, they are unflustered and precise. Clear lines, restrained shapes and a pronounced appreciation of special materials surround Piero Lissoni's designs with a subtle simplicity. For over 20 years now the Milan architect has been working at the interface between architecture and design, alongside new products also designing entire hotels, apartment blocks, company headquarters, and yachts - from the façade down to the faucet. 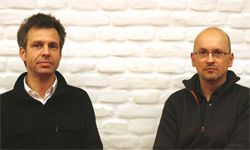 For the brothers Jan and Tim Edler, one thing is certain: Buildings communicate with their surroundings. 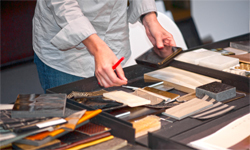 They prove this by means of totally different pieces of work, which they themselves refer to as architecture tuning. Delugan Meissl's buildings are sharp, flying, and white. But the Viennese architects cannot be pigeonholed that easily. Dynamic they are, but not exclusively. Dynamism is just the "icing on the cake". 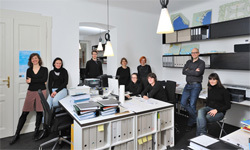 Anyone looking for good architects in Dresden will invariably consider Knerer Lang . And anyone walking through downtown Dresden will invariably pass buildings they have created. Between the Baroque curves and post-War drabness they certainly catch the eye : with a few key elements, smooth surfaces and surprising colors. A plastic house, a stone church, a concrete office. 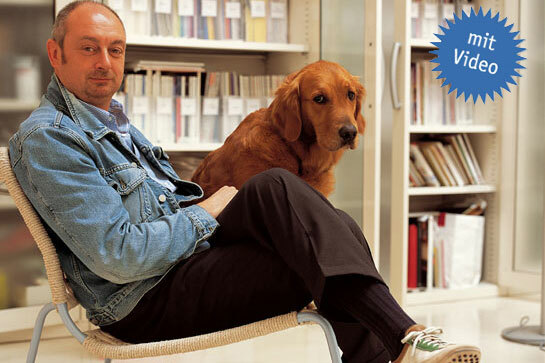 Florian Nagler, who recently turned 40 and is based in Munich, is capable of just about anything, apart from off-the-peg buildings, that is. 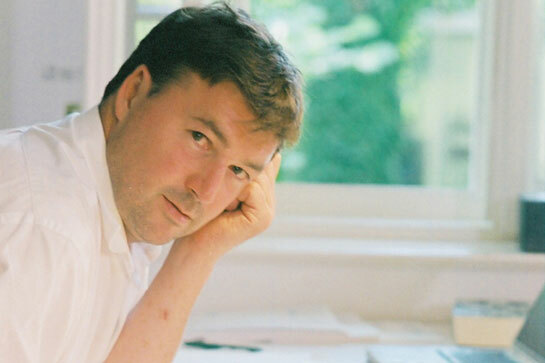 Anybody observing his work encounters everything architects have ever wanted to design. All that's actually still missing is a museum. Prizes galore, and still not a trace of vanity. Nagler moves on from one success story to the next. Though at one point things did look pretty bleak. At the very beginning. 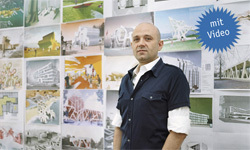 Having won the competition for the German Pavilion at EXPO 2000 he then backed out. Six long years ago the first work by Berlin architect Jürgen Mayer H., the municipal building in Scharnhauser Park near Stuttgart opened its doors. The recently finished refectory in Karlsruhe is proof that it was not just a "one-hit wonder"! Berlin, Beijing and Los Angeles are twin cities. Not by coincidence. 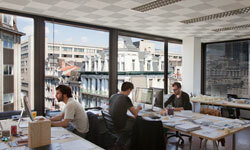 Nor is it any coincidence that Graft has studios in all three metropolises. The cities are in a state of positive upheaval, and upheaval attracts us like magic - they say. With degrees in their pockets, three Braunschweig graduates made their way to L.A., and initially converted garages before progressing to the home of a Hollywood star. Today they operate on almost all the five continents, very much part of the world league. Apart from permanent jet-lag they have managed to remain quite normal. We visited Graft in their Berlin studio. They made a name for themselves in Southwest Germany, a region renowned for lightweight construction methods and minimized loadbearing structures - with buildings that speak a quite different language, namely that of powerful volumes and solid walls, these are the features of projects designed by LRO Architekten. 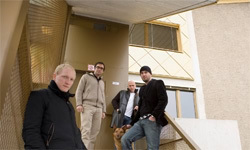 bogevischs buero - the name conjures up pictures of Bohemia, the Danube Monarchy and Franz Kafka. Something somehow familiar, whatever the case. 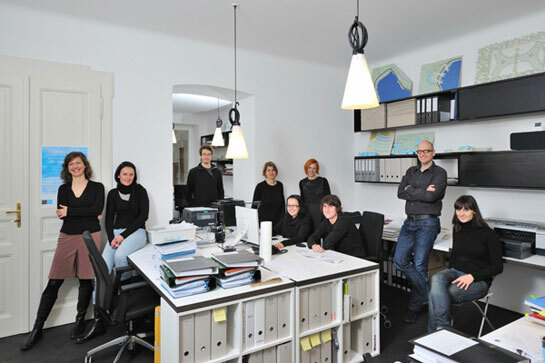 But in fact this is neither a detective agency in Prague nor a trading company in Brno, but an up-and-coming architecture bureau in Munich. 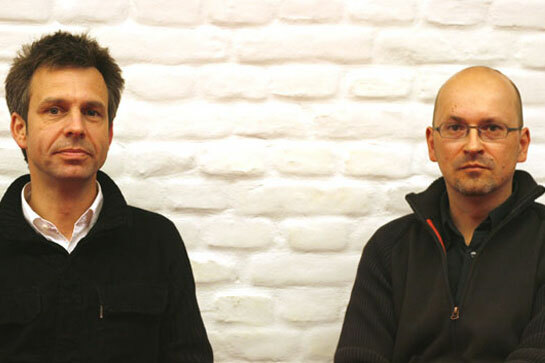 Kaschka Knapkiewicz and Axel Fickert are both 50-plus and nevertheless are considered among the "youngest" architects in Switzerland. As late starters, trailblazers, and offbeat thinkers, they regularly break with the strict conventions of Swiss architecture and consequently nurture an eclectic streak: sometimes screwball, sometimes old-fashioned, sometimes culty, sometimes trash. Nevertheless, the spaces they create have almost classical qualities. Contradictory? Exactly! In the mid-1980s, the complex configurations of the apartments created by the two architects were immediately ignored by competition juries back then. 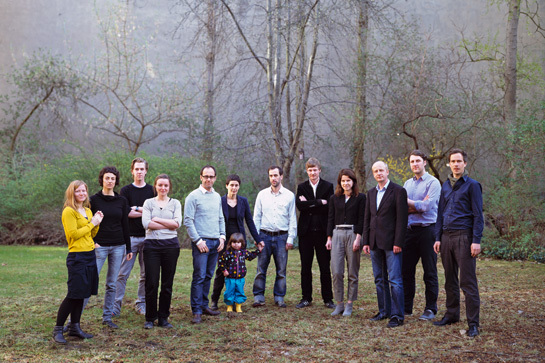 Today, they are the model followed by an entire generation of young Swiss architects and inspiration for award-winning designs. Knapkiewicz + Fickert herself had to wait for ages until the market for apartments felt happy with their ideas. 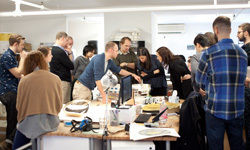 And today they have all the more joy in their work, constantly coming up with surprising new project solutions. 4 people, 500 square meters of surface area, 200 square meters of living space, € 250,000. This was the formula that made the Munich studio Allmann Sattler Wappner famous overnight. Their "present-day house" is probably Germany's most popular piece of present-day architecture. Since 2005 their highly-praised winning entry for an SZ-Magazin competition has been open to the public in the grounds of the Federal Garden Show in the Riem district of Munich. 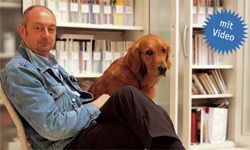 Other Allmann Sattler Wappner projects are also "popular", in a positive sense, they reflect their surroundings, polarize. 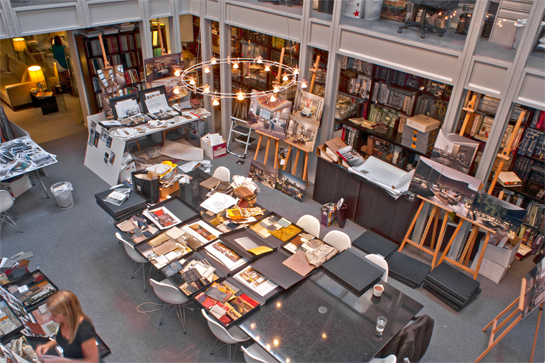 Indeed, that their buildings be of relevance to society is one of the professed goals of the studio, which is constantly in search of the essence, the characteristics of the task at hand. 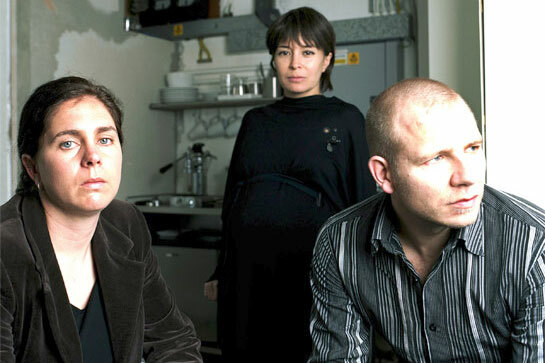 For them, adherence to a single style is suspect - instead, Allmann Sattler Wappner repeatedly come up with surprising new solutions. 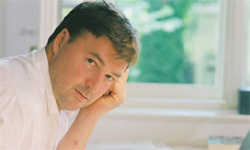 In their approach to the topic they are serious, in its execution humorous, at times even mischievous. Typically Bavarian, somehow. At the end of the 1980s, two young architects meet in London and become a couple in both private and professional terms. 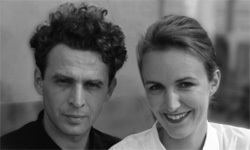 In 1991 they open a joint studio in Berlin. Until 2000, when their building at Hackescher Markt, that real miracle of Berlin glass architecture amidst a sea of stone, finally becomes an architectural reference of their work they do conversions, compile expert opinions and take part in many, many competitions. Since when they have never looked back. "There's nothing that can't be done" could well be the studio's motto. 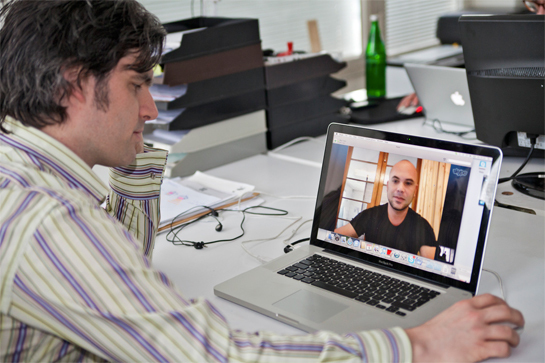 Before embarking on any project they see whether they can come up with a solution that differs from the norm. 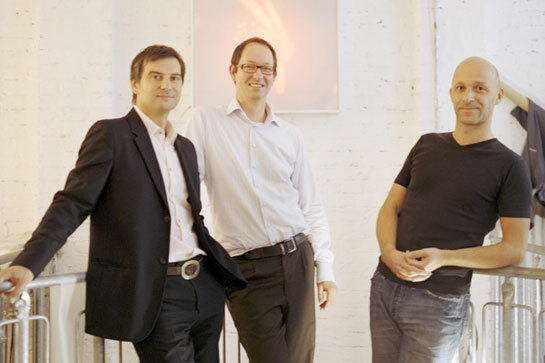 It is an approach that has been rewarded not only with building success, but also with Grüntuch Ernst having been selected to design the German entry for the 2006 Architecture Biennale in Venice. 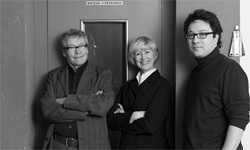 Reason enough to conduct an in-depth conversation with the architects Grüntuch and Ernst. 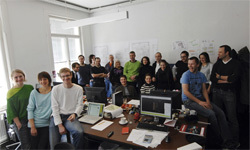 The story of the Graz studio Innocad is probably the most unusual of all the young Austrian architectural studios. 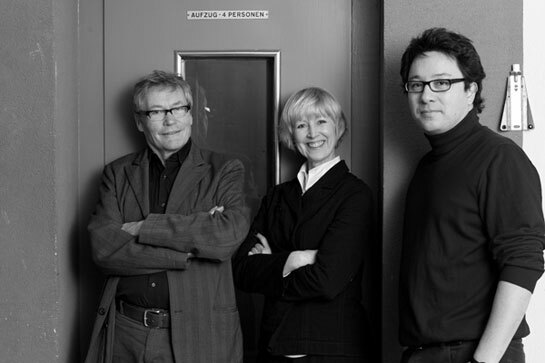 Since it was founded in 1999 the four partners have been working not only as architects but also as project coordinators and developers. The "Golden Nugget", their most recent building was also their own responsibility and demonstrates that good architecture is a recipe for success even under the hardest of conditions. Architecture and lifestyle cannot be separated. Innocad buildings are not just any old sheath; they each offer their inhabitants a specific, individual atmosphere. Between genuinely “trashy” and noble, but always as a response to the conditions at hand, which include a high degree of responsibility with regard to urban planning. There is just one thing that the Innocad partners, all of whom were born in 1972, could do without in the future: they are wary of any form of star cult status. 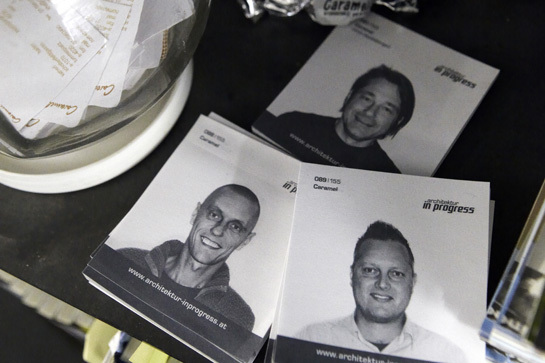 And that is the stepping stone to several other younger generation architects that free themselves from Prix, Domenig & co. without beating their head against a brick wall.